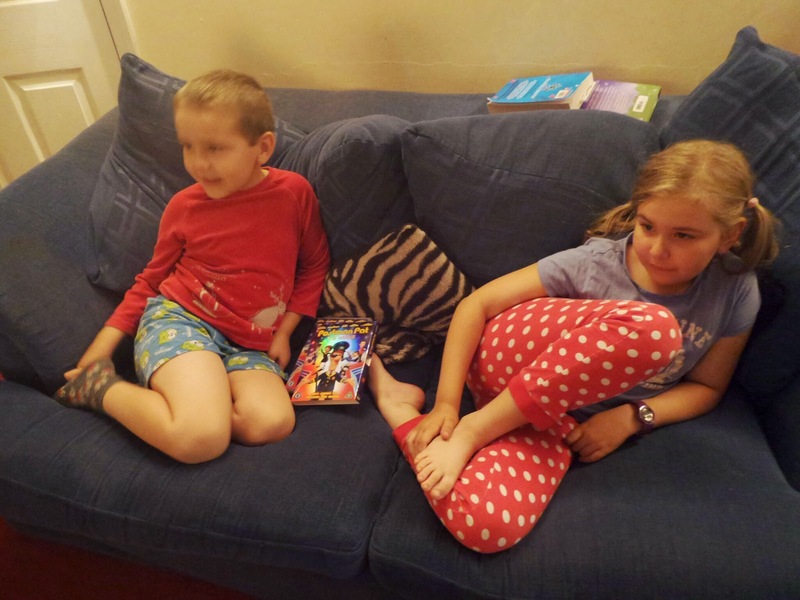 Daddy decided that he would watch the DVD on the way to work the next day, which was fine by the children and I as we weren't going to watch it until that Friday as part of our treat night. So this is why on Wednesday morning, Daddy found himself trying to shield his screen away from his fellow passengers so they couldn't see why he was giggling so much. I so wish I'd been on that train to see the look on the faces of any commuters who did glance at what Daddy was watching. 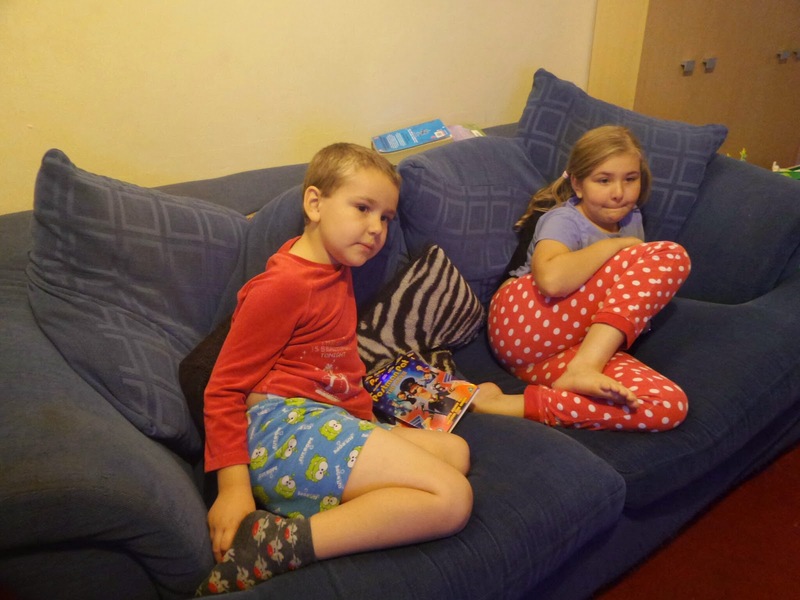 The children and I were ready on the Friday to watch the DVD, and they snuggled up on the sofa, whilst I was left the floor, when I'd finished doing the dishes and the other chores I needed to do. Of course with all the photo taking and chore undertaking, I missed most of the DVD and so decided to watch it myself as soon as I could. 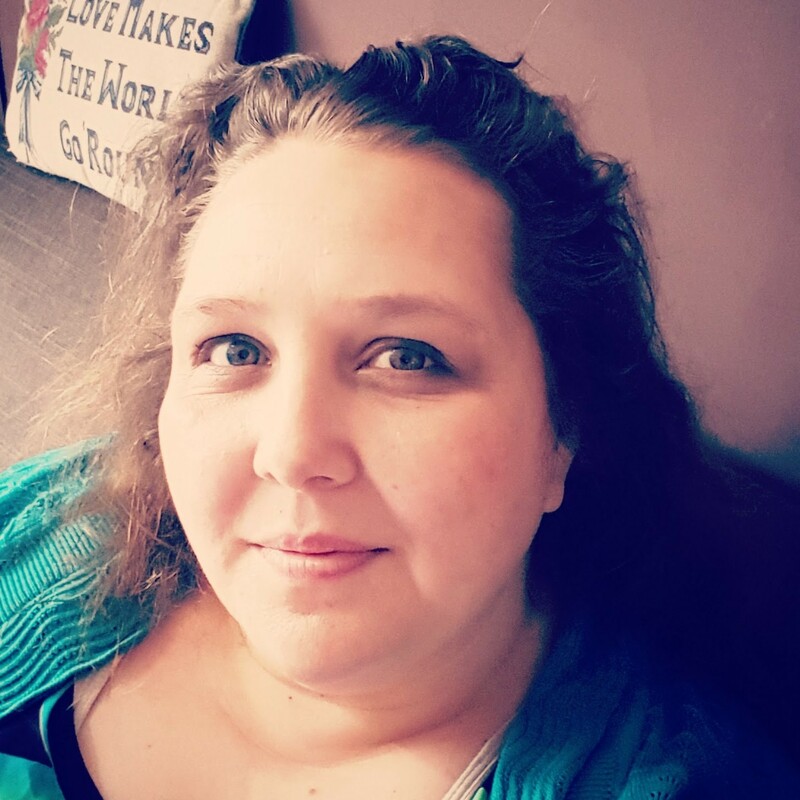 The children really enjoyed the film, I had been worried that they would think it a little babyish, but Top Ender found a lot of the adult humour in it to be at a level that she could understand and Big Boy whilst understanding some of the more mature humour just loved the absurdity and mickey taking part of it all. Big Boy has already decided that he's going to watch it again one night in bed, but I think he may have to fight Daddy for it! 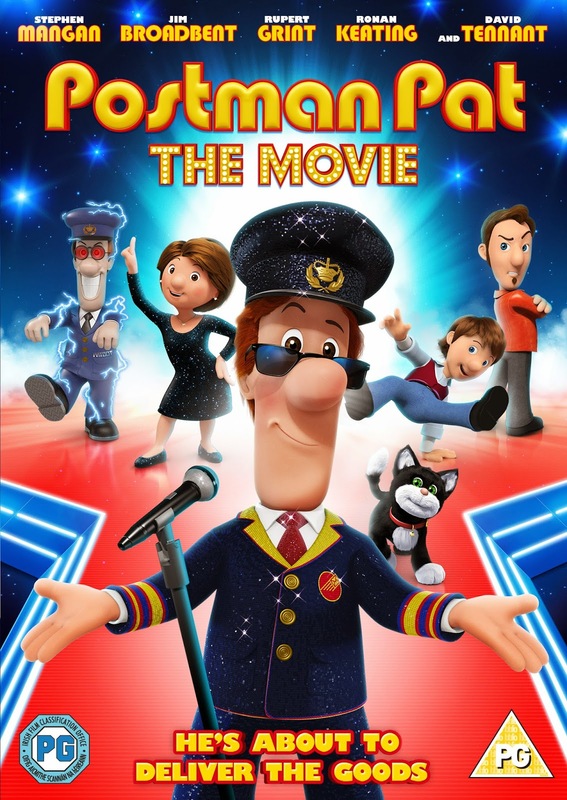 I do think that it is a great film for the whole family, so if you haven't seen it yet as you didn't think it was suitable unless you had a massive Postman Pat fan in the family give it a go and hopefully if you've got the same sense of humour as me you'll love it. The DVD has a RRP of £17.99 and we were sent it for free to review.